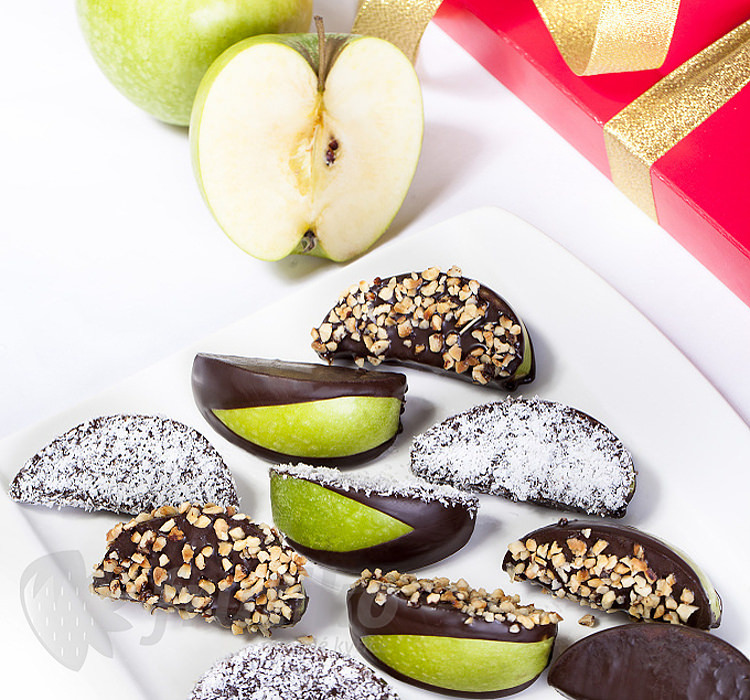 Apples in chocolate mix are hidden in a delicious combination of juicy green apples and dark chocolate which sprinkled on top nuts and coconut. 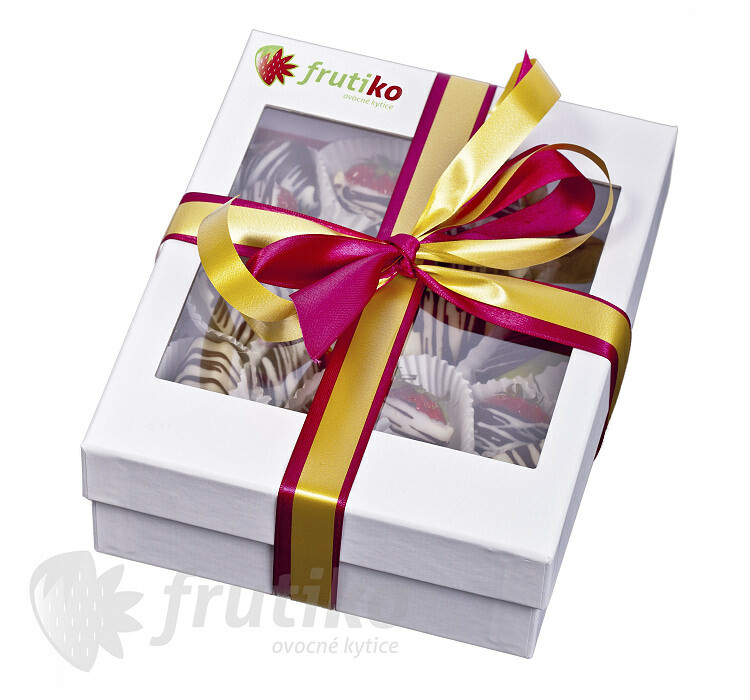 Fruit chocolates are original and healthier option as well as chocolate flower is an unique way to delight and surprise your loved ones.Standard boxes contains 15 pieces of fruit in chocolate, Big boxes contains 20 pieces of apples in chocolate. 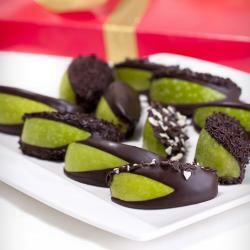 The combination of fresh juicy apples Granny Smith a semisweet begium chocolate is very popular and delicious. 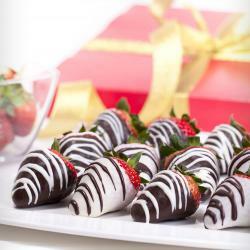 You can enjoy this combination in a fruit flower Sweet surprise as well, which is made from fresh strawberries, pineapples and apples in white and dark chocolate. 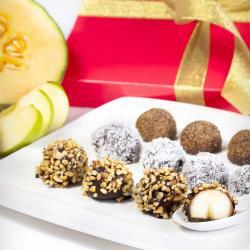 Flower and choco-fruit box delivery in whole CR is organized every working day from 8am to 5pm by external courier and can be ordered one day in advance. 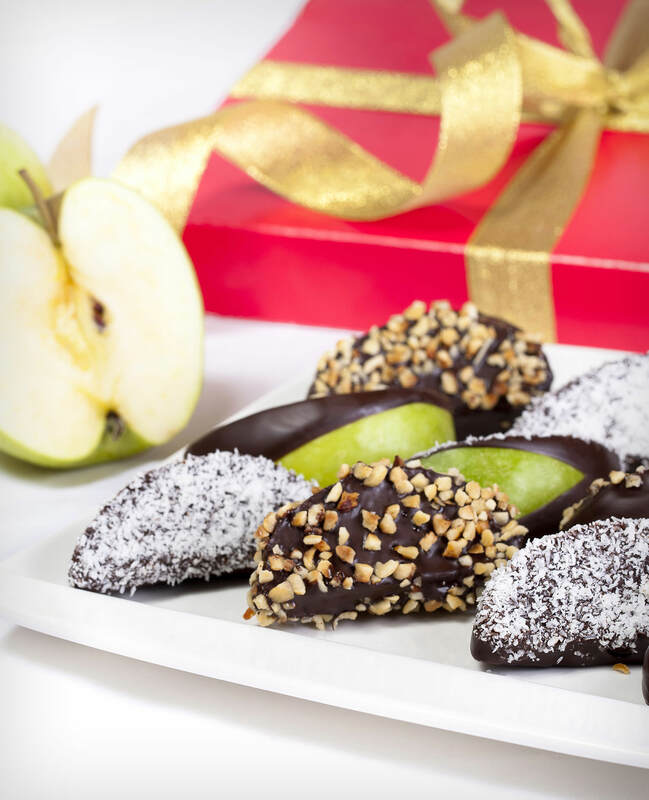 Apples in chocolate mix box can be ordered to please any of your beloved ones arround the whole Czech republic. Výborné snoubení chuti kyselého jablíčka a hořké čokolády. 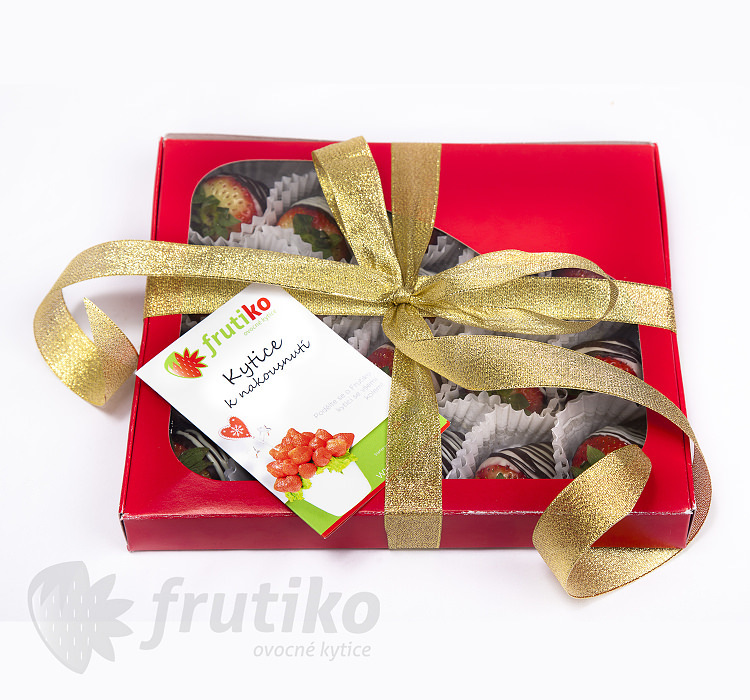 Velmi netradiční,ale přesto vynikající. 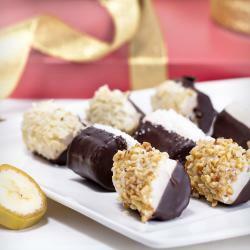 Dárek velmi potěšil chuťové buňky nejednoho účastníka narozeninové oslavy!